Find out the last news about 3Souls! 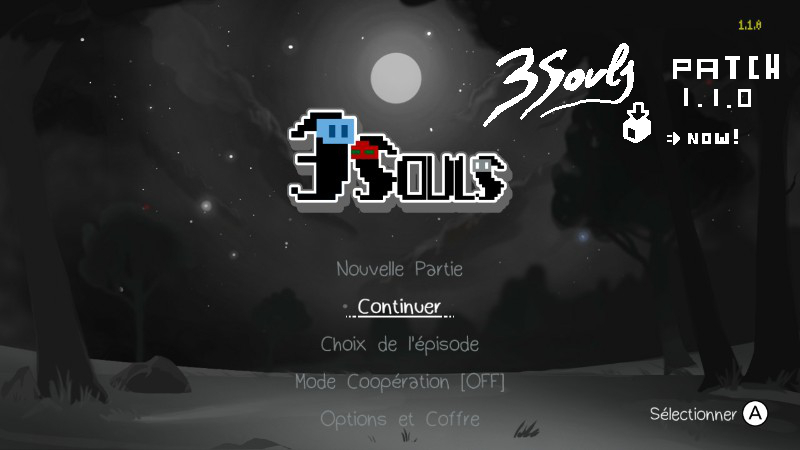 Last week was the two years anniversary of the launching of 3Souls! Nelesa was born and later on during this years Nophes, Nidemon and the new version for PC: "Parallel Edition"! To celebrate the anniversary and because our love for Super Smash Bros. (for those who doesn't know, we are also the creators of the fansite: SmashBros-Ultimate.com), the artist @QUASSIHOLLIC has created this wonderful artwork with the same style that QUASSIHOLLIC has been creating for other characters confirmed on Smash Bros. Ultimate! We hope you like it! And that's not all! To make sure that the full experience that is shown on the original version for Wii U of 3Souls is played for many more people, you can now request for a limited time a FREE copy of the digital game for Wii U on America, Europe or Australia! Hurry and grab yours if you still don't have it! You can request your free copy through the application Distribute HERE. Just mention the reason of the request is an Adward and you soon will receive your free code! You don't have a Wii U? Don't worry, you can still get a free copy for the alternative version for PC: 3Souls Parallel Edition, through itch.io. 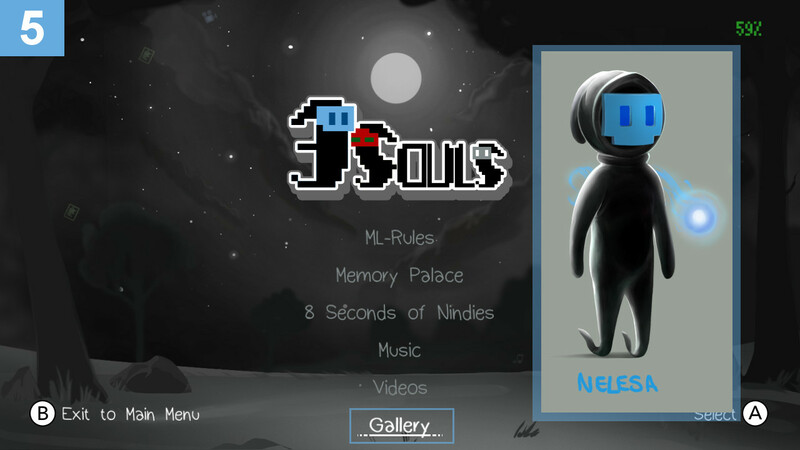 3Souls Parallel Edition: a version for PC! 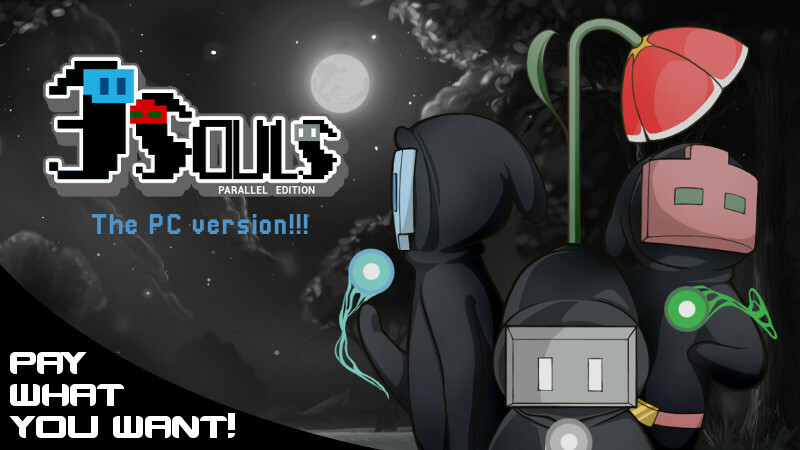 3Souls Parallel Edition is here and available right NOW for PC! We worked hard this past months to make sure that everyone have a chance to enter in the world of Mustland in one way or another. Now with Parallel Edition, you will be able to experience the story, music and graphic from 3Souls, but on PC! We adapted the puzzles with new gameplay mechanics, which makes the game different in that aspect, but you will share the same experience in the world of the Ánimas with this version as well! We want to make sure that everyone interested have a chance to enter in the world of Mustland, so the game has a price of $2.99 whatever you want! 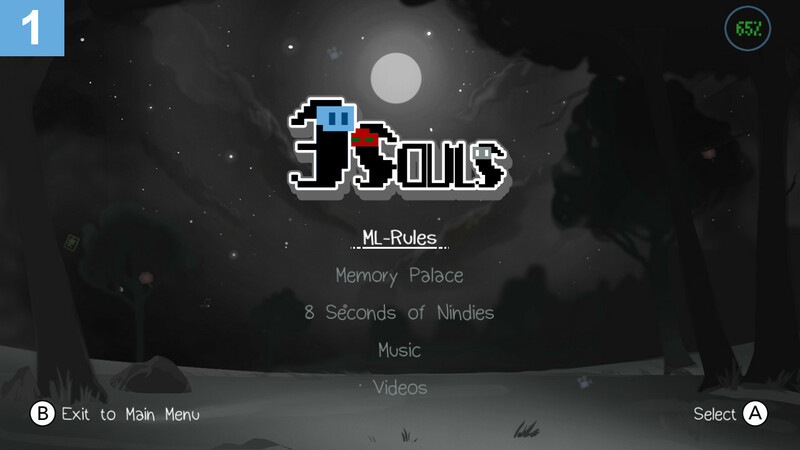 Enjoy 3Souls Parallel Edition and welcome to the world of Mustland!! Take a look at all the Nindies cameos on the "8 Seconds of Nindies" easter egg! Did you find them all? Almost two weeks after the launch, we want to share this great collaboration list with all the Nindies, Ñindies and Switch Nindies that took part of the hidden easter egg "8 Seconds of Nindies". A total of 35 games and 38 songs where included in this minigame and we want to thanks all the other Nindie developers that took part of this cameo! Are you able to recognize all the games by listening only 8 seconds of one of them songs? As lovers of Nindie music, it was so much fun to create this minigame. We hope you enjoy too playing it inside 3Souls! If you still don't know how to unlock this easter egg, it's really simple. Find any spot where the main character doesn't have a thought and press the soul 4 times. After this, a small plate will fall from the corner bottom right of the GamePad. Behind you will find some music notes. Press those and the minigame will start. You can 2 different songs for each soul, and different songs for each sections (the two parts of the moon, the city, the club and the farm). Try to find them all! IMPORTANT UPDATE! On another subject, we can finally confirm that the patch on the american region is finally live! Sorry for the inconvenience and thank you so much for your patience and understanding! 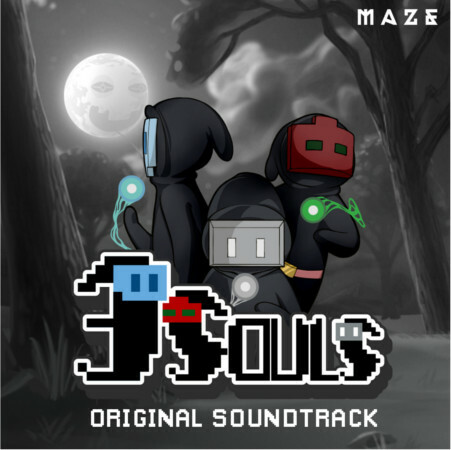 3Souls Original Soundtrack is now available in bandcamp! You can know buy the music by MAZE Soundtrack, composed by Ananda Costa and Eduardo Risi, for 3Souls with the full soundtrack and 2 bonus track here on bandcamp, on our new page for Red Column. MAZE Soundtrack work with us really close to give soul to the Ánimas, and giving more power to the main concept of the game, where every ánima is different, reflecting this on the own music. 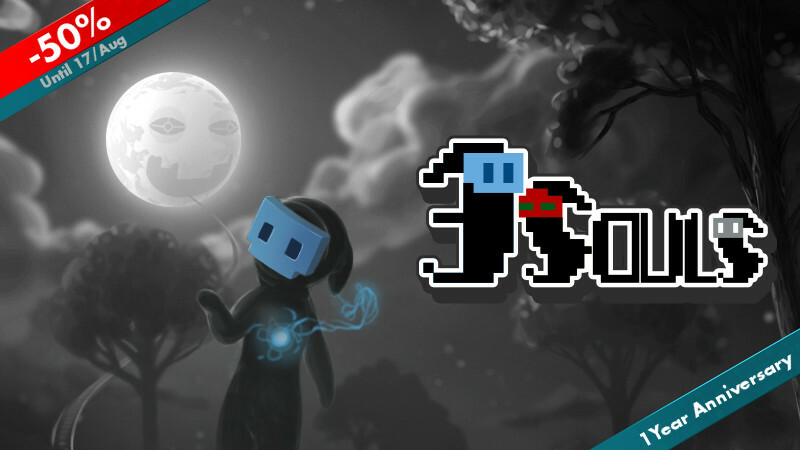 3Souls, the complete game, launching today! Let's celebrate it with a big sale! FINALLY!!! It has been long the way until this day! 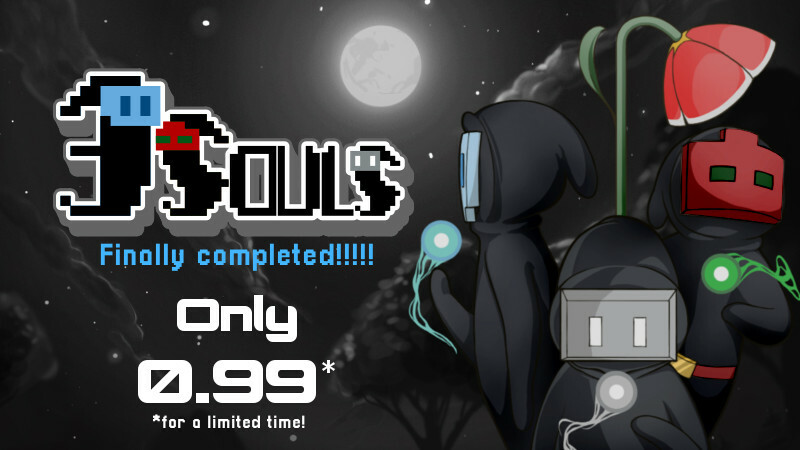 3Souls is finally completed and the 2 missing chapters are available today for Wii U as a free patch! For those who already have the game, the patch will be installed automatically on your Wii U, and you can continue the game with the second chapter, Nophes. For the new players, you only have to buy the game, and this will include the complete game with all the chapters! But this is not the only big news today!! To celebrate the launch of the full game, you will be able to get the whole game temporarily for only $0.97 / €0.90 / £0.80 !! We want to make sure that we reach as many people as possible, allowing us to share our work with all of you! So now is your chance to get into the world of the Ánimas! And now, here you have our final launch trailer of the complete game! Welcome to the world of Mustland! Ready to continue this adventure? Here you have the Intro of Nophes! The patch with the two new and last chapters will be launch really soon! 3Souls will be then finally complete and you will be able to enjoy the whole adventure that you already start one year ago with Nelesa. Let's warm up with the intro of the second chapter then! Here you have the intro by Suez of Nophes and the Sleepless City!! It's been a while we launched the first part of 3Souls, Nelesa's chapter. And really soon you will be able to continue and finish the complete game of 3Souls. So it's time now to recap the first chapter to get ready for the coming two missing chapters! Check the next video to remember the events of the ending of the Nelesa's chapter, and get ready to start soon the final two chapters! Stay tuned tomorrow, we have more news coming this week! Let me take you back 3 years! In November 2014 we introduce you for the first time 3Souls with a small teaser. It was the beginning of an idea that we want to transmit to you, users, for our first game as Red Column. Many things happended since, and many changes since we announced that we were developing the game. But very soon the wait will be over and you will be able to play the complete game. But now that we have shared a sneak peek of the 2 missing characters, his souls, backgrounds and music styles, we would like to show you that teaser again and the main concept behind it! "Each Soul has its own SHAPE". 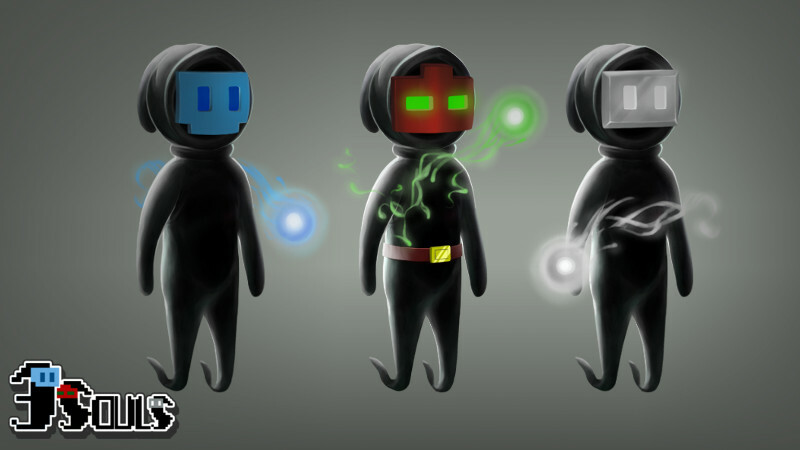 We want to create a game with 3 character really different from each other. Although they look really similar, them soul shape his personallity during the game with a different voice and way to describe the world. "Each Soul FEELS different". As you have already seen, the soul has a big impact on the way they feel them world going from the sad chalk of Nelesa, to the happy brushes of Nophes and finishing in pencil with Nidemon. All this accompanied with his on music style. "Each Soul PLAYS differently". And the last one, chaging the way the character deal with the story. The sad Nelesa more focus in platforming. The happy Nophes heading more into a puzzle adventure. And Nidemon, with his quick race against the clock! Now its time for you to enter in the world of Mustland and meet these 3 characters and the story that link them all. We really hope you enjoy each of the aspects of the game that we have been working on to make this initial concept a reality! Stay tuned this week, we have more news coming! Introducing the music for Nidemon's Chapter: Paperthin Farm. Here is the last of Nidemon's secret! Listen now the music notes that will race together with Nidemon between the walls of Paperthin Farm! You can check other songs from the OST of 3Souls right here. Ready to end this adventure? Really soon you will be able to play the two last chapters of the game! Last week we introduced you finally to Nidemon and his background design. What about the gameplay this time, you would think? Well, you will go from the slow pace adventure of Nophes to a opposite one in Nidemon. So, don't dawdle! clock is ticking! We can finally introduce you the third and last character of this story! His name is Nidemon and his grey soul reflect... well, you need to play the game to find out ;). 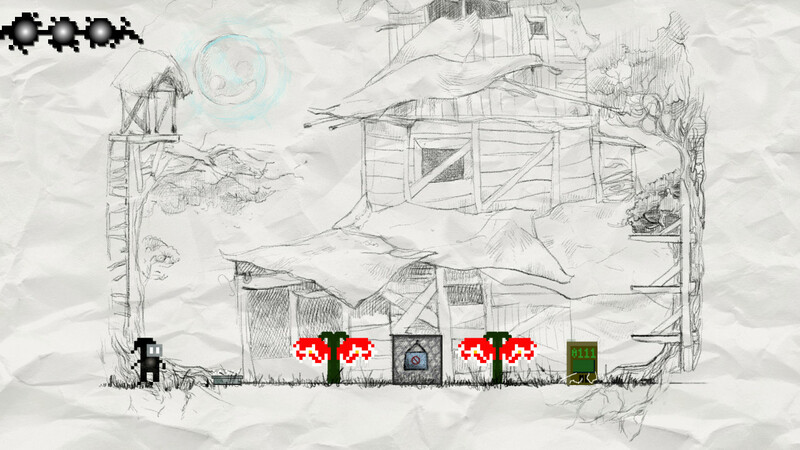 We do can tell you, that as the sadness of Nelesa was reflected on the style of the background as Chalk, and the happiness of Nophes was printed as colorfull brushes of paint... Nidemon soul will also be reflected on the design of his chapter, making the game in his case look like a full drawing of pencil in black and white. So here you can finally see for the first time the look of Nidemon chapter: Paperthin Farm!. In the last two week we spoke about how the main soul of the Ánima define the backgrounds designs of the game as well as the gameplay itself. Well, this doesnt stop here! The music notes from Nelesa accompanied in her saddness, but as you already know Nophes has a different main soul, so this will also change the tone of the music. Stay tuned for the week! We will start showing you for the first time background style, gameplay and music from Nidemon, the third chapter!. In the meantime, enjoy the first track of Nophes: Sleepless City! Last week we mention how the stages from Nelesa and Nophes use different styles (chalk versus brush) and this is because each Ánima have a different soul. Nelesa is sad Ánima and Nophes is a happy one. But this is not only reflected on them levels... it will also change the gameplay for each chapter! While the first chapter was focus on a puzzle/platformer gameplay, this is more focus on a puzzle/adventure one! Here is when we introduce the new elements: the items! Nophes is a happy ML Guard, which is a kind of a police/detective from the world of Mustland that make sure that everyone obey the ML-Rules to keep the order. He will be searching for another Ánima, who has broken 2 ML-Rules and you will be there to help him out. During this chapter then, you will find different items, to get to another places, and to get other new items. 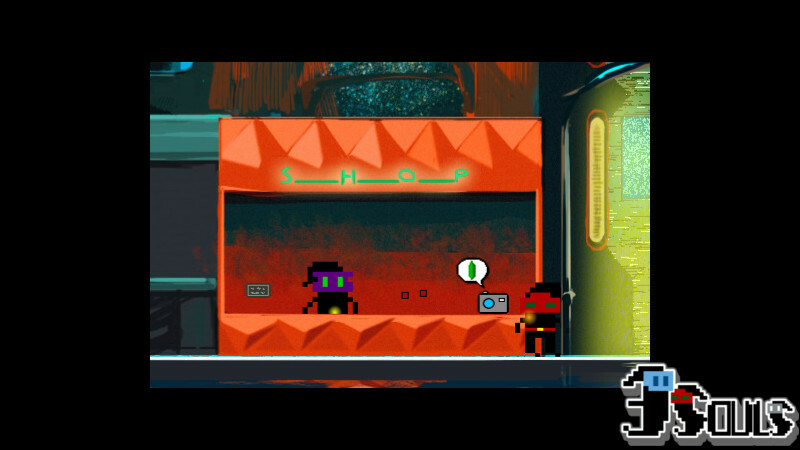 You can check for example in this picture the main shop of Sleepless City, where they will offer you different items that will help you in your journey. This is so different to Nelesa's chapter that you can't even die in this chapter!! (well... I would be careful anyway, Sleepless City can be dangerous sometimes). Ready to put your detective cap on? Nophes will be the chapter that follow the Nelesas's one and the events from him will actually happened before the ones in Nelesa. Those events will take place on the the luminous streets of Sleepless City, a city that unlike the Moon Prison, which it was seen by Nelesa as a drawing in a board with chalk, this will be seen by Nophes as a colorful drawing in a canvas with brushes. Because... every Ánima has a different soul... and sees the world in a different way! Let's celebrate the 1 year anniversary of the launch of the first chapter of 3Souls with a big sale! 50% off now available on Nintendo eShop for America, Europe and Oceania for one week! 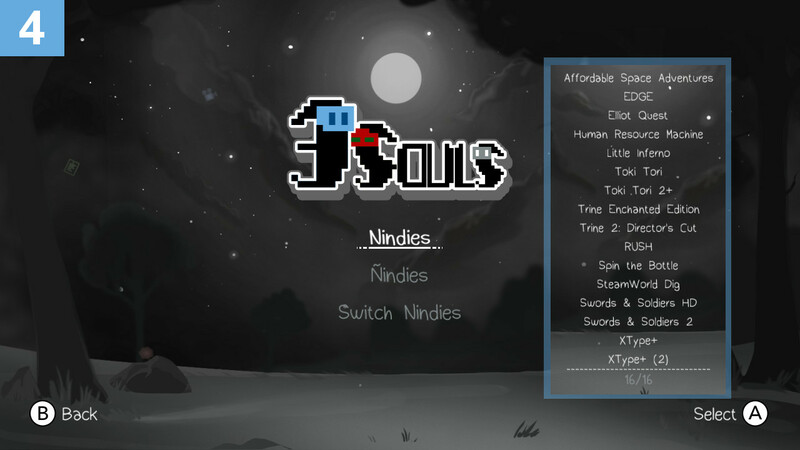 You can buy right now 3Souls for only €1.80 / £1.60 / $1.95 and start getting ready for the coming soon free update with the last 2 chapter of the game! The Memory Palace is a big part of the main story that take place in 3Souls. Although they are not essencial, those memories will help you to understand better the story and each of the characters. In the chapter that is now available, Nelesa, she will tell us a story that occurred before the ML-Rules existed. This story is called "Tales of My Son". Memory 1: you can find it next to the animated bed of thorns located on the bottom of the screen of the very first level of Nelesa, after you find the ML-0000. Memory 2: this is located on the third stage of Nelesa, the Sewage, on the first screen. Those are on the middle of the maze, next to the animated bed of thorns. 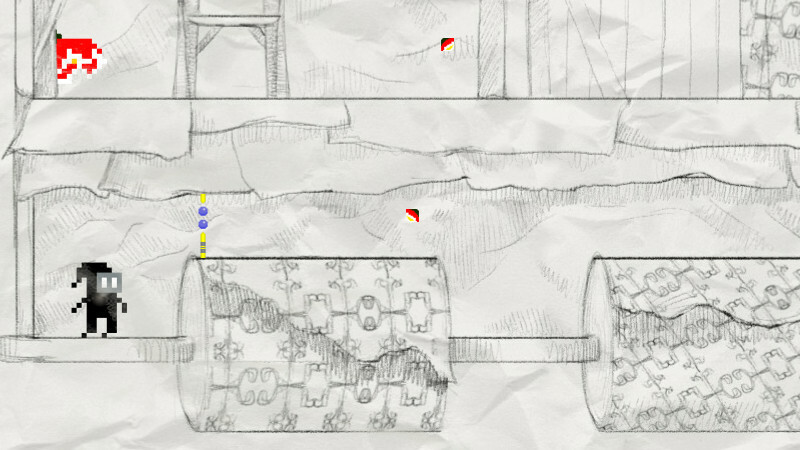 Memory 3: the third memory is located on the Sewage as well, but this time on the third screen. The bed of thorns is located this time at the very bottom right of the stage. Memory 4: this one is located on the 5th level, the Stairs, around the middle of the stage, and below the stairs. Memory 5: the fifth memory can be found on the 7th level, Security Door behind the B door. You need to go to the top left of the screen to be able to activate this memory. Final Memory: the last memory can be found on the last level of the Nelesa's chapter, the observatory. This is located on the bottom right room, above the animated bed of thorns and the hidden platform. Barry Dunne from Nintendo Impact Gaming!, would be the voice of Nidemon. 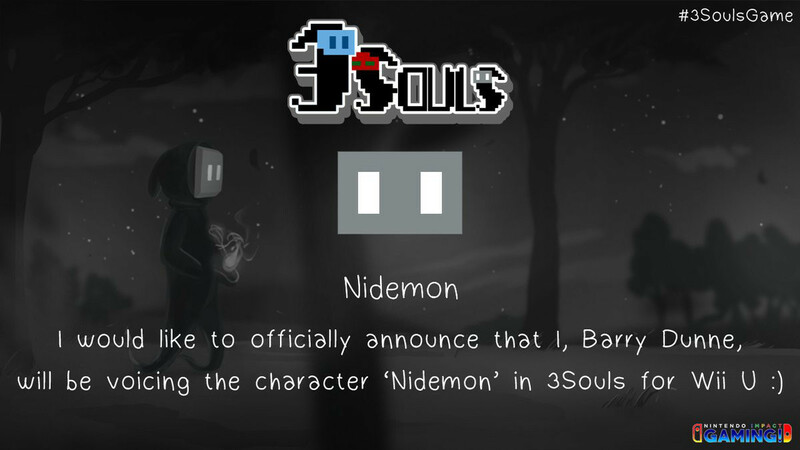 Today we can confirm that Barry Dunne from Nintendo Impact Gaming!, will collaborate on the last chapter of 3Souls with his voice, bringing Nidemon to live! We would like to thanks Barry for this great collaboration and his support from his channel always! Check on the next video, the last gameplay from Nintendo Impact Gaming!, showing the Co-op mode from the demo already available on eShop. Updated backgrounds for the menu and goodbye episodic format! Last week we talked about the Vault in the menu, but that will not be the only update on the menus of the game. We will update to a better and more detailed backgrounds for the menu system of the game. 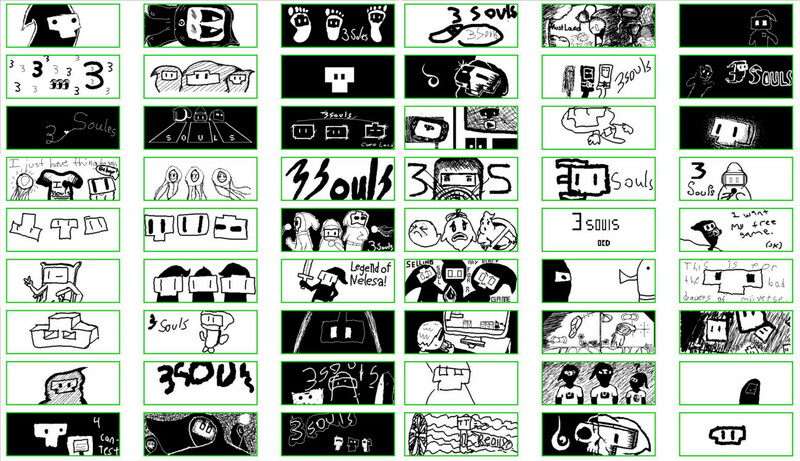 Those update as the artworks of the ending videos are made by our friend Luckytime! An small but important detail. As you can see on the new menu, the option "Play Episodes" is not there anymore. This is because the episodic format will disappear after the future update and the game will be a standalone game which will tell the story of 3 different Ánimas. We will reffer to each part of the game as chapters, and you will be able to select which chapter to play once you finish the full game. This would be really helpful to search for those collectibles that you missed the first time that you played (like Nindie songs or Memories). The Vault: how to unlock and new updates coming. This week we will talk about the Vault and the coming changes on it. 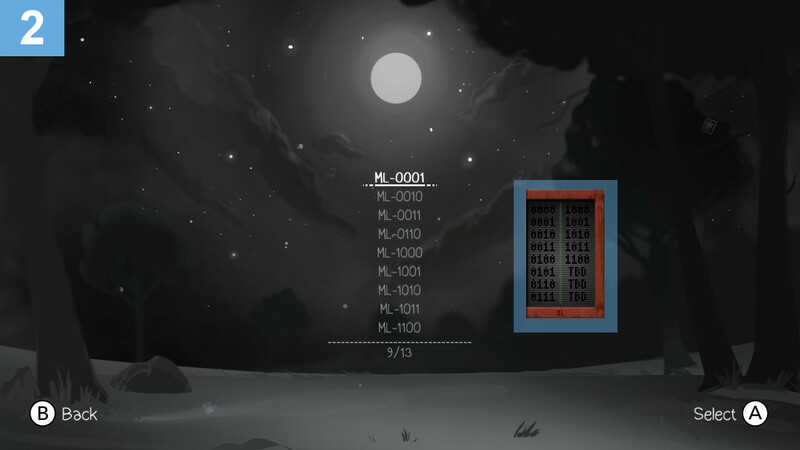 1.- First, a new element on the top right corner: porcentage of the total of the game compleated. This will give you a better idea of how much are you missing from the entire game. The game has different collectibles: ML-Rules and Memories (Tales). Those will help you to understand better the story and the world of Mustland. But it will also help you to unlock parts on the Vault. For example, to unlock the music from one chapter, you will have to find all the Memories from that chapter. Then, to unlock the ending video of one chapter, first you need to finish of course that chapter, but with all the ML-Rules of that chapter. 2.- ML-Rules: there is a total of 13 ML-Rules written in this story, althought in the world of Mustland there is place for 16. Our character knew the normal 8 rules written a long time ago, but nothing about the 5 new ones that they will find. You will find then 5 ML-Rules with Nelesa, 4 with Nophes and the last 4 with Nidemon. 3.- Memory Palace: each of the chapters have memories of the Ánimas hidden around mustland. In the case of Nelesa, those memories will tell you a story about her son. You can find those thoughts sometimes near to the beds of thorns around the Moon Prison. With a total of 6, those memories are called: "Tales of My Son". 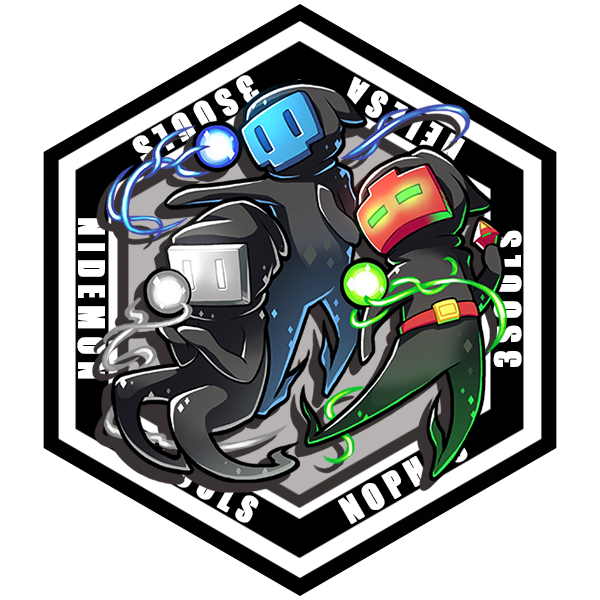 The new chapters will have also hidden memories around the world of Mustland (6 for Nophes and 5 for Nidemon). We can reveal today the titles of those memories! Nophes will share with you the "Tales of My Brother"
Nidemon will tell you the "Tales of the Moon"
Those will be then the memories that you need to unlock the music on each chapter. 4.- 8 Seconds of Nindies: With the first part of the game, Nelesa, we include a little easter egg minigame for those who love the Nindies on Wii U. This minigame will be activated if you touch 4 times the soul of Nelesa when she doesn't have any thoughts to share with you. Once this happend, a small plate on the bottom right of the GamePad will fall and you can touch it to activate the minigame. This will constists in playing 8 seconds of a Nindie of Wii U song and you have to guess to which game belong to, between 3 different options that we give you. There is a total of 16 songs (from 15 games) hidden around the Moon Prison. 8 songs on the first half of the Moon, and the other 8 on the second half. Those are hidden on the anger, fear, curiosity and sadness of Nelesa (2 songs per feeling), making the total of 16. You can check now on the next image the full list of games for this esater egg. If you find them all, you will unlock a special song! And now some news! For the coming new chapters (Nophes and Nidemon) this easter egg will be back! But with a samll difference: Nophes game will be called "8 Seconds of Ñindies" (Ñindies = Nintendo Indie games from Spain) and Nidemon will be called "8 Seconds of Switch Nindies" (Indies on Nintendo Switch). If you find all the Nindie songs from that chapter, a ♪ icon will be shown in your saved, with a total of 3 ♪ icons if you find them all. 5.- Gallery in Vault: a new element will be added on the new coming update: the gallery! 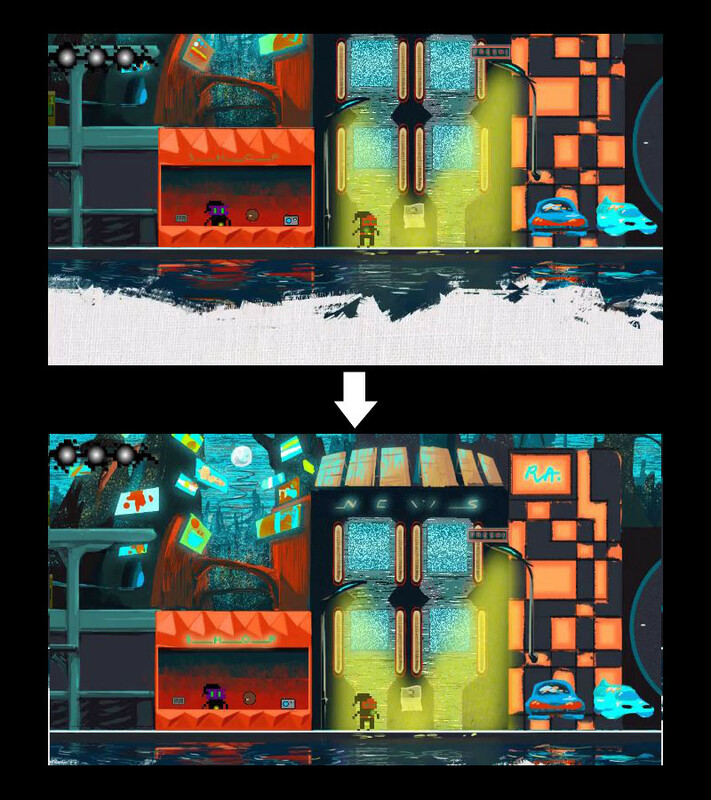 This new section will show different artworks, posters and sketches of the game, some of them has never seen before! You can unlock this new section by finishing the whole game (the 3 chapters of Nelesa, Nophes and Nidemon). By the way, did you know that this week is the first year aniversary of the launch of the first chapter Nelesa? Stay tuned as well about this! Changing the camera mechanics on the future update. The new feature announced last week will not be the only change on the game after the big update coming with the 2 new chapters. We will also change the camera position during the whole game. Before, the camera followed the player all the time, and his position would be always the center of the screen. This sometimes bring to some problems when the player is on the limits of the stage, making half of the screen with info that they dont need and the other half missing important info like for example platforms. With this change, the player will be mostly still in the middle, but on the limits it will not happend anymore, offering a better gameplay to the player with this new update. This change, for example, will let you enjoy the whole Sleepless City, in one of the two coming chapters, Nophes. New feature requested by the users coming as well with the free two chapters! Later this year we will launch a free update that will include the chapters of Nophes and Nidemon, the other two Ánimas of the game. But on this update, we will include as well some other changes on the gameplay to make a better experience of the game. One of them will be a requested feature by the users: to be able to look up and down at any time on the game. We hope with these inclusions to create a better game experience for everybody! Chapters 2 & 3 will be free! 50% off in Xmas to celebrate! We have some big news about 3Souls. After a lot of thoughts, we have decided that instead of a DLC, the chapter 2 and 3 will come in a free update! This means that if you buy the game, which include the chapter 1 of Nelesa, you will receive the chapter 2 and 3 in a free update once they are ready to launch. We are working really hard on those chapters, and it's taking longer than we first planned. For this reason we would like to compensate all the players that are waiting, with the news that once we have ready the chapters, they will receive them as a free update. Our goal is to launch them in first half of 2017 ;-). But this is not all of it. We would love to share our first project with as many people as possible, so now you can get the game with the first chapter for half of the price during Xmas! €1.80 / £1.60 / $1.95 ! And to finish the day of news, here you have a animated sneak peek of the coming chapter: Nophes and the luminous streets of Sleepless City! 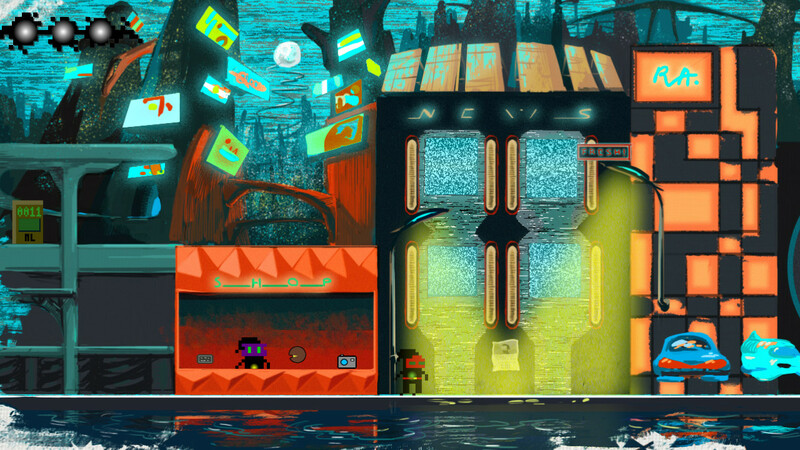 You can also check HERE	the full static image version of the first level. Winners of the Miiverse contest! Thanks to everyone to participate in this contest! It has been really hard to choose only 10, there were really good work and good ideas! Remember that there is a demo of the game available right now on the eShop! To celebrate the launch of the demo, we are making a contest on our website by giving away 10 free copies of the game 3Souls! 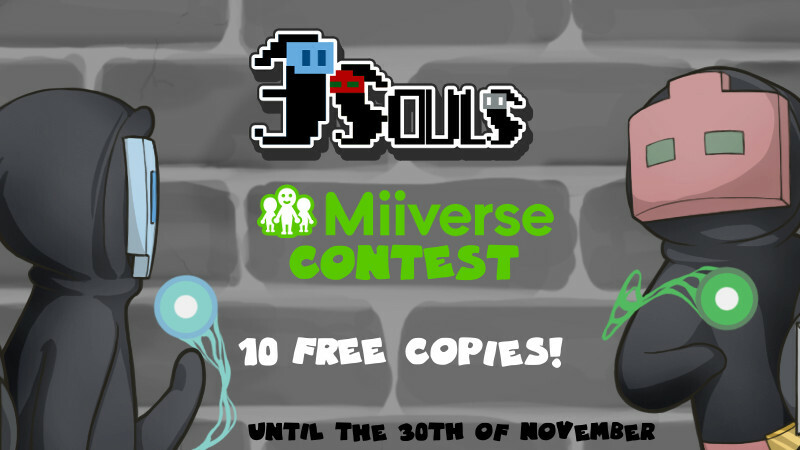 If you want to participate on the contest, go to the official Miiverse of the game, and post a drawing about 3Souls. You can check our website to get more information about the game to get inspiration for your drawing. We will be collecting on this website, all the drawings that are participating. On the 1st of December we will choose our 10 favorites drawings between all of the participants to be the winners of a free copy of the game 3Souls. You can post more than one drawing, having more chances to win! UPDATE: the contest is over. Here you can see all the participant! 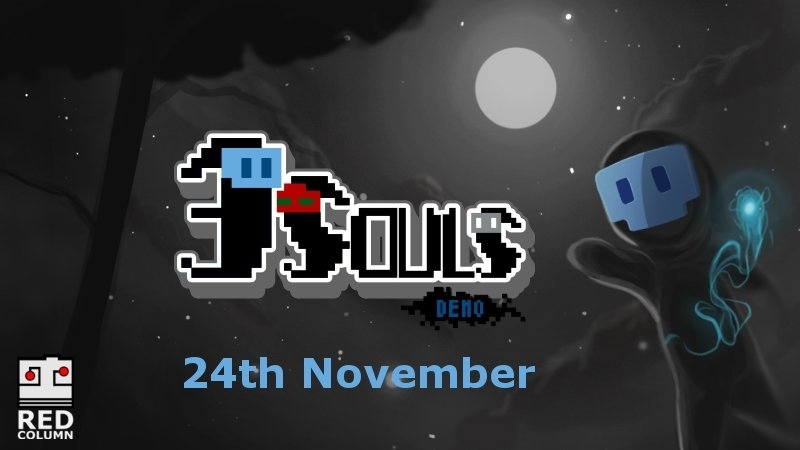 The demo of 3Souls is coming to the Nintendo eShop the 24th of November! It will be avaible for all regions where you can find already the first chapter of 3Souls. 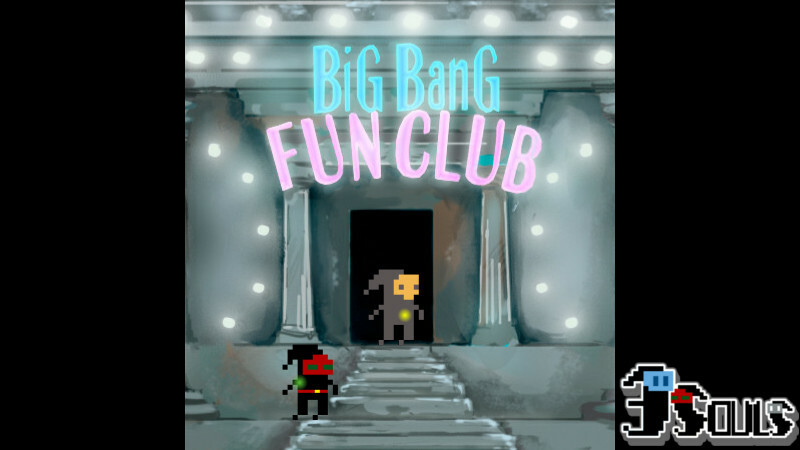 It will include all features of this first two levels, but not the easter egg "8 Seconds of Nindies", which is included only on the full version of the game. 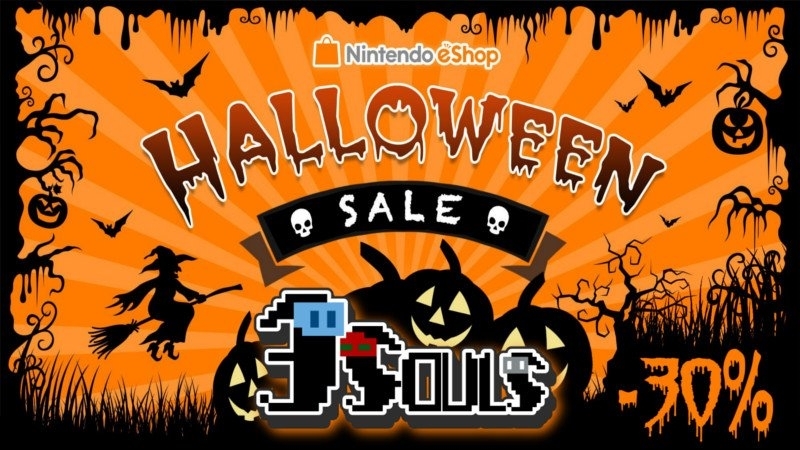 3Souls joins the second week of the Nintendo Europe eShop Halloween Sale with 30% off sale! From this thursday 27th until next thursday the 3rd! A new option after getting a Game Over: Rush Respawn! ...and many other minor changes to improve the experience overall! To celebrate, for one week only and starting today (22/Sep/2016), you can get the game with the first chapter 25% off!